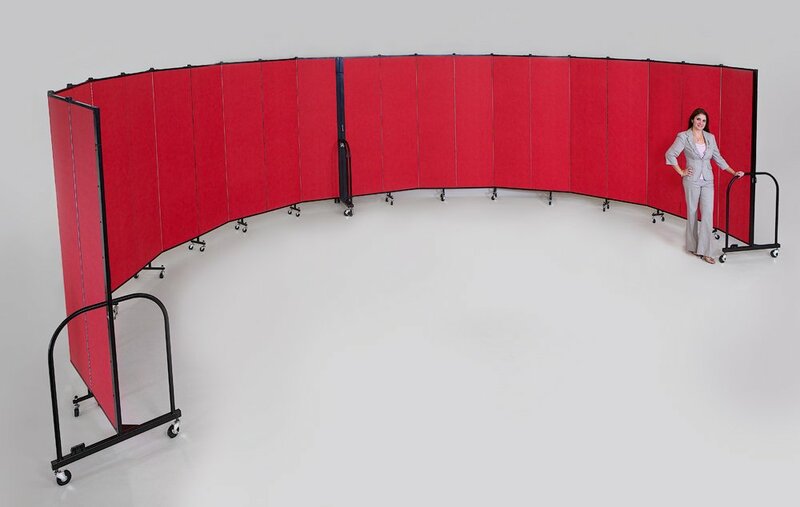 What we love about Screenflex Room Dividers is their versatility. Screenflex room dividers are rolled on self-leveling caster wheels to ensure a safe and easy transition over surfaces as well as to maintain a level wall. These lightweight units can be arranged in varying shapes to fit your division needs. Sturdy, durable and long-lasting, Screenflex portable walls are available in 6 heights and 6 lengths and 38 color choices. Units ship fully assembled and ready to use. Manage the space in your facility with Screenflex. Call us today at 800-553-0110 for a quote or to get a list of customers in your area.